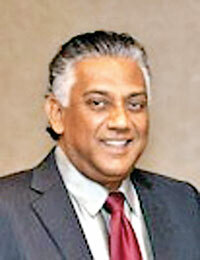 The Planters’ Association of Ceylon (PA) has appointed Lalith Obeyesekere as its Secretary General, effective from January 1. A respected, plantation industry professional and an active member of the PA, Mr. Obeyesekere headed the Association as its Chairman from 2010 to 2013 and has played a vital role in promoting the collective interests on all issues concerning the Plantation Industry. He takes over duties from industry veteran, Malin Goonetileke, who retired as Secretary General, a position he held for 16 years, since 2001, the PA said in a media announcement. “As Secretary General, Lalith Obeyesekere will serve on several national and industry related Boards and committees, representing the PA and its membership. He will also play a key role in liaising with Government and trade bodies in promoting the interests of its membership and the industry in general. Obeyesekere has over four decades of experience in the plantation sector, having commenced his career as a Management Trainee at Mackwoods Estates and Agencies Ltd in 1973 and retired as the Director/CEO of two RPCs. Obeyesekere will continue to assist the membership of 21 Regional Plantation Companies in maintaining healthy industrial relations amongst all stakeholders,” it said.